Can Milk Thistle Help Hair Loss? Approaches to traditional treatments often rely on one cure-all medication that can be used to treat a number of different conditions. 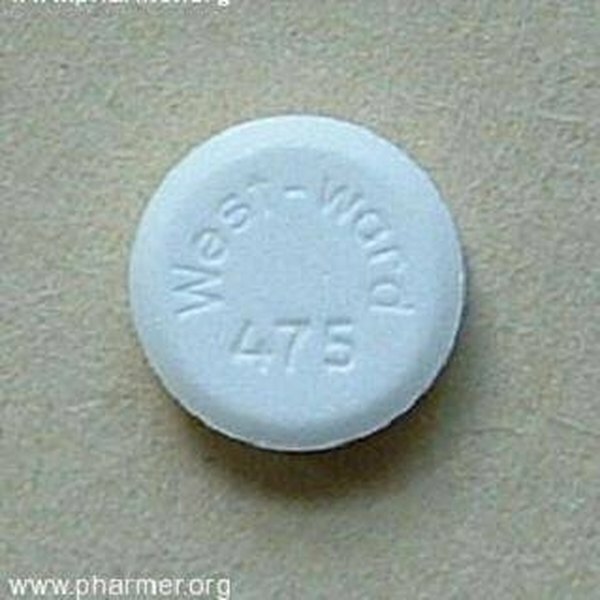 Prednisone is one of these drugs. While it is highly effective in treating inflammation, there are some side effects. Following dosage instructions exactly is one way of relieving the most common effects of this drug. Prednisone is classified as a steroid medication. It's primarily used to treat conditions in which inflammation is present. Colitis, lupus, psoriasis, breathing problems, and allergic conditions are some of the conditions treated with this steroid. The drawbacks of using this drug are the effects it has on the immune system. Any virus or infection already present within the body may become worse when taking prednisone. It may also reactivate an infection that's already passed. People who are taking a high dosage of the drug are more susceptible to experiencing side effects, including stomach irritation, headache, anxiety, easy bruising, dizziness and vomiting. Prednisone can be prescribed in different dosage amounts, depending on what condition is being treated. Exercising a couple of safety tips will help to relieve, and/or avoid any side effects from taking this drug. Provided your doctor is aware of any current medications you're taking, following the instructions on the prescription bottle is always recommended. A prednisone prescription often will say "take with food" to avoid an upset stomach. If you're on estrogen, or Dilantin, these drugs can decrease steroid effects, so be sure your doctor is aware of any drugs you're taking. While side effects are more likely when taking high dosages, or when taken for long periods of time, there are other long-term effects to look out for as well. Steroids like prednisone have progressive long-term side effects, the longer a person is taking them. Osteoporosis is one condition known to develop as a result of long-term use. This occurs due to the body's reduced ability to absorb calcium. Osteoporosis is a condition in which the bones become weak and brittle. Ongoing steroid use works to prevent the formation of new bone, while at the same time weakening the bone structures already in place. One way to combat this is by taking calcium supplements, which help to replenish calcium supplies within the body. To ensure that calcium is properly absorbed, it should be taken in conjunction with vitamin D.
Prednisone's primary effect within the body is to stimulate the secretion of cortisol by the adrenal glands. It's the cortisol that relieves inflammatory symptoms. One common side effect that occurs upon stopping the drug is withdrawal response by the body. This happens because the adrenal glands tend to shrink when not in use, and need time to resume their normal function. Stopping prednisone abruptly is not recommended, and can even cause the body to enter into an adrenal crisis. To avoid this, it's best to taper the drug over a period of time to allow the adrenal glands to resume normal secretion levels. Always consult with a doctor on how to discontinue taking this drug. While Prednisone is an effective treatment option, there are other ways to relieve inflammation. A natural anti-inflammatory supplements can, in some cases, be an effective cure. Those known to be effective include bioflavanoids, boswellia, ginger, and glucosamine-chondroitin. Bioflavinoids are derived from plant extracts. They provide anti-oxidant, anti-allergenic, and anti-inflammatory effects. Boswella is an herb used in Ayervedic medicine as an anti-inflammatory agent. Ginger, also an herb, provides analgesic, anti-nausea effects, in addition to relieving inflammation. Glucosamine-chondroitin is effective in building up cartilage, and has been found to significantly reduce inflammation in the joints. How Long Do the Effects of Ativan Last? What Effect Does Black Cohosh Have on the Thyroid & Adrenal Glands?